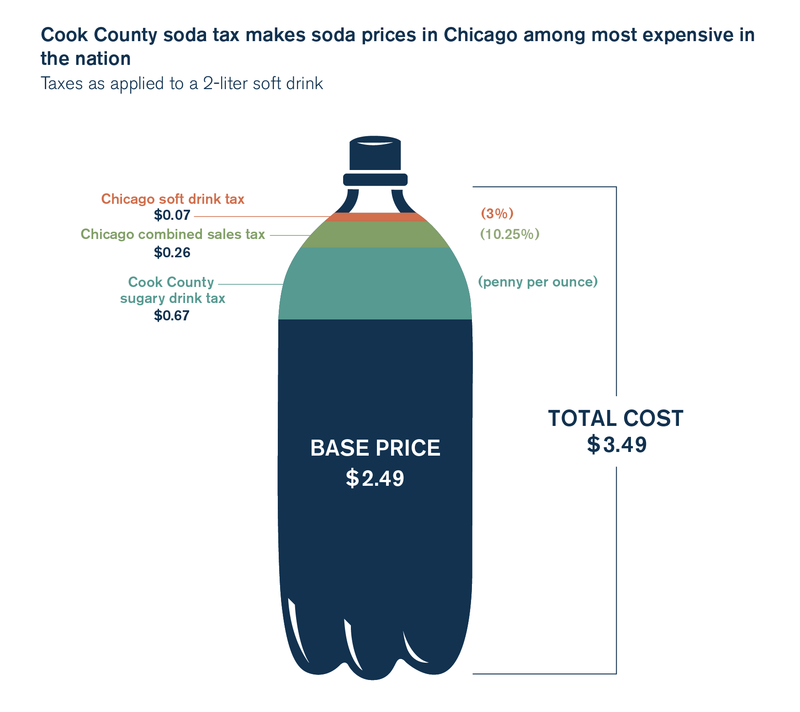 The Cook County Board Finance Committee voted Oct. 10 in favor of an ordinance to repeal the unpopular sweetened beverage tax. The repeal measure now awaits a vote before the full board. The Cook County Board of Commissioners Finance Committee voted Oct. 10 in favor of an ordinance to repeal the controversial sweetened beverage tax. The repeal ordinance is now out of committee and awaits a board vote to become law. And as the Finance Committee includes all 17 county commissioners, the ordinance is almost certain to get the same level of support in the upcoming board vote. Commissioners voted in favor of the repeal measure 15-1. One commissioner was absent and did not vote. The repeal ordinance was sent to the Cook County Board Finance Committee chaired by Commissioner John P. Daley, D-Chicago, after a board meeting in September. In November 2016, Daley voted in favor of the sweetened beverage tax, but recently announced his support for its repeal. Though Preckwinkle may veto the measure to do away with the sweetened beverage tax after it is passed by the board, the county board’s repeal faction has enough commissioner votes to override a veto. Commissioner support for the so-called “soda tax” has rapidly eroded since its implementation; some commissioners who voted for the tax previously have come out against it more recently. Preckwinkle cast the tie-breaking vote in favor of the sweetened beverage tax in November 2016. While the tax was set to take effect in July, thanks to a lawsuit brought by the Illinois Retail Merchants Association, the tax wasn’t implemented until August. Though dubbed a “soda tax,” the sweetened beverage tax applies to most drinks containing sugar or artificial sweetener, including soft drinks, diet or low-calorie soft drinks, sports drinks, fountain drinks, ready-to-drink teas and coffees, and juice drinks that aren’t 100 percent fruit or vegetable juice. However, it’s likely that not all of those voting for repeal did so for policy reasons. The sweetened beverage tax is massively unpopular. A poll commissioned by the Illinois Manufacturers’ Association taken shortly after the tax went into effect showed nearly 87 percent of Cook County residents opposed the sweetened beverage tax, with 80 percent saying it was being imposed for reasons other than promoting public health. The tax was so politically toxic, a report from Crain’s Chicago Business revealed Cook County precinct captains have been having a hard time obtaining the required number of signatures for incumbent county officeholders to get on the ballot. Constituents flexed their muscles. And now politicians are listening.